Google Earth has always been about exploration. Always. Everyone, from pre-teen primary school kids, to bored office workers, has at some point used it to look up some faraway place, just to see what it looks like. So, it makes sense that Mountain View would introduce a social element, allowing individuals to enhance the blurry satellite imagery with their own text, photographs, and videos. “The story of your family history, the story of your favorite hiking trip – it could be anything. It doesn’t have to be profound,” Google Earth Director Rebecca Moore told Reuters at the company’s Voyager event in Sao Paolo, Brazil. The company plans to open up this functionality within the next few years. In the meantime, it’s undertaking several small-scale tests of the technology, teaming up with primatologist Jane Goodall, and telling the stories of the Yanomami people, Cinta Larga and the Boa Vista Quilombola. Stories can be shared either privately, or publicly. Personally speaking, as a newlywed, I’m excited about the prospect of creating beautiful guides that show where I met my wife, where I proposed, and the most important places in our life, and sharing them with family and friends. Ultimately though, this isn’t surprising. This is just indicative of a wider trend, where things that were once static and 100-percent desktop-based, are opened up. 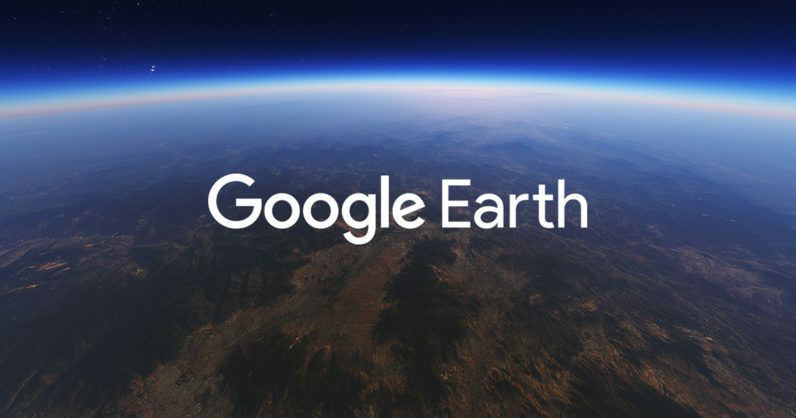 I wouldn’t be surprised if, at some point in the future, Google takes a step further and releases a mixed-reality version of Earth, although that’s undoubtedly a long way off.